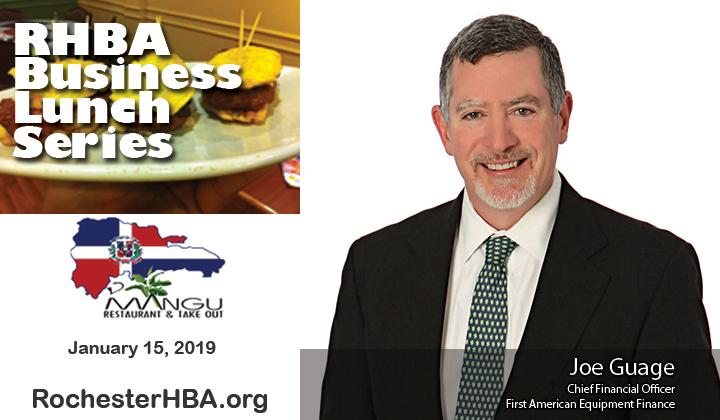 Join us at D’Mangu Restaurant for our January Business lunch event featuring Joe Guage! 78% of U.S. companies finance equipment, leading to approximately $1.7 trillion to be invested in 2018. The commercial equipment finance industry helps businesses and nonprofits acquire the equipment they need to conduct and grow their business operations. Take this opportunity to gain an insider’s perspective of the opportunities that this massive industry provides from Joe Guage, CFO at Fairport-based First American Equipment Finance, a billion-dollar business. Joe Guage was hired as the Chief Financial Officer at First American in April 2015. Joe has more than 20 years of experience in accounting, finance and various leadership roles. He has a long track record of significantly contributing to the strategic growth of organizations. 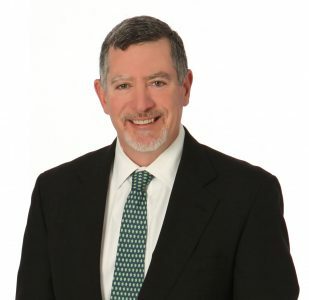 Prior to joining First American, Joe held the position of Vice President of Operations Strategy at The Student Loan Corporation, a subsidiary of Discover Financial Services. Joe is a CPA with a bachelor’s degree in accounting from Saint Bonaventure University and a master’s degree in finance from the Rochester Institute of Technology. Joe lives in Penfield, New York with his wife and four children.